Many people think servicing the gas furnace is waste of money if there is no problem in your furnace. If you don’t do the service of your furnace it can take longer time to heat your house, life of your furnace will be reduced and also increase your energy bills. Servicing your gas furnace regularly will help you to prevent your house from the deadly gas leak as regular maintenance makes sure that vents, chimneys and the pipes are properly connected and are not leaking. Regular service of the furnace ensures proper air flow in the system. Professional will make sure that all the components are working properly which will result in high energy efficiency of your furnace. 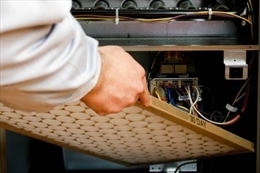 Regular service of your furnace will help you to solve the small problems before they become large issues for you. This will prevent you from costly repairs. Your gas furnace works in the best way when it is serviced. Regular service prevents your gas furnace from breakdown and adds few extra years to your furnace. Your gas furnace has a warranty for many years but many warranties require regular service record. If there is a problem in your furnace the manufacturer may ask for the service records. Yearly service of your furnace will cost you around few 100$-150$. But if you don’t do service you might have damaged component, gas leak or many other problems which can cost 1000$ dollars in repairing. To ensure long life of your furnace, to save your family from gas leaks or to prevent yourself from repairing cost call a HVAC professional to do the service of your gas furnace once in a year.